One of the most important aspects of trading to grasp is the proper, and professional use of leverage. The use of leverage is arguably the most important aspect of risk management and proper risk management is the top priority of all professional traders. Managing risk is going to be the single most important factor in your success or otherwise as a Forex trader. You must pay attention to this lesson, as this may be the one factor that is hindering your progress in the markets, as the improper use of leverage will make long term success almost impossible to achieve in the Forex market. 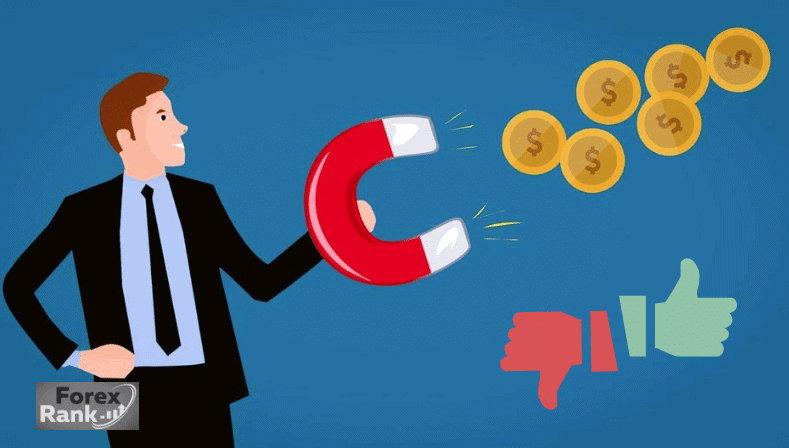 In contrast, the proper use of leverage will prevent you from destroying your account, preserve your capital as a trader, and make you an attractive trader for high net worth individuals to invest in. Leverage is simply a way of trading with more money than you actually have in your account. Now using leverage can maximize gains, however it can also increase losses too. This is one of the reasons that the Financial Conduct Authority in the UK would like to reduce the amount of leverage accessible to traders. Too many people have lost their entire trading accounts by the mis-use of leverage. In June 2018 it emerged that one broker had accidentally allowed a trader to open a $5 billion dollar position. The trader, who thought he was trading a demo account, was actually placing $1 billion worth of live orders for US and European equity futures. The trader ended up with a profit of $10 million dollars, but his initial deposit with the broker had only been $20K. He was using leverage over 200 thousand times above his initial deposit. When you consider that the broker in question only made a profit of $9.6 million last year you can see the enormous risk that leverage can pose. So, the first step in using leverage is to understand exactly what it is. The best way to understand leverage is to think of your trade size (how much you are trading with) vs your account size (how much you have in your account). So, for example, lets say that you have 10000 USD in your account. If you buy 1 standard mini lot (0.10) – you are now considered to be trading unleveraged. This is because your trade size is equivalent to the amount of money in your account. Your position size is one mini lot, 10000USD, and your account size is 10000USD. They are the same. In the pictures below you will see an order opened on an MT4 account . The trade size is 1 mini lot or 0.10. A position opened in this scenario would be for a trader not using any leverage with a 10000USD account. If that trader, with the same account size of 10000 USD, then went on to open a second mini lot position of 0.10, then that trader would be using leverage of 2:1 This means that they are trading with double the trade size in relation to their account. Their trade size would be 20000 USD , yet their account size is 10000USD. For each subsequent 0.1 trade position the trader opens, the higher amount of leverage they will be using in their account: 3:1, 4:1, 5:1 and so on. Now just because you can use leverage it does not mean that you should. Professional traders, working for large institutional banks, brokers and funds use very low levels of leverage. In fact, as a general rule, for working out their trade size they will use unleveraged positions. As explained above that will mean that their trade size matches their account size. So, a trader, operating a $1 million USD account would only use 10 standard lots as their normal, unleveraged position. At first, it may seem strange that a professional trader would not utilize these high levels of leverage. So, let us move on to consider some of the key reasons why professional traders are so cautious in using leverage. The first benefit is that it allows a professional trader to attract and retain high net worth individuals and accounts. This is obvious when you think about it. Imagine that you have been entrusted with a $200 million account to trade with. Now, imagine, that through using leverage you have a losing trade that loses 10% of your account. Now, let’s say that for the next two trades you lose a further 10% of your $200 million account. Let’s say those three losing trades happened in one week. Three losing trades in a row is not an unusual occurrence for any professional trader. It happens. Now, that trader would have to tell their employer and their client that they have lost over $40 million in one week. Enduring that kind of loss is an unbearable mental toll on both the trader and the client. A professional trader who traded in this way would be removed from their post and clients of high net worth would not be prepared to risk so much of their money in this way. So, when you stop using leverage you are showing yourself to be a trustworthy trader who can manage risk in an acceptable way. Say, in the example above, that instead of risking 20% of their account , the trader had not used leverage and only risked 0.60% of their account per trade. Their total loss would only then have been 1.8%. That is a an acceptable loss for three losing trades in a row, especially when the winning trades inevitably come along again. If you aspire to be a Forex trader, showing that you can manage accounts in a responsible way is crucial in attracting high net worth investors and will be a key factor in your success. If you aspire to become an online Forex trader, then managing your risk is a key factor you need to master. The second benefit is that it allows a professional trader to think calmly and logically. One of the major impacts of using leverage is that it is very hard to think unemotionally when you are risking large percentages of your account. A certain aspect of successful trading requires a detachment from a trade and not over managing it. If you are using high levels of leverage then you will find it much harder to keep an emotional detachment to your trades. You are far more likely to intervene and mis-manage a trade. Using leverage also makes you vulnerable to a black swan event when huge moves can happen in the currency market. In 2015 the EUR/CHF fell around 40% in just a few minutes when the Swiss National Bank gave up defending it’s 1.2000 peg. Just a couple of days before this the SNB had outlined their intention to keep defending the peg. If you were trading leveraged during this even you would have risked losing all of your account in a few minutes. Huge hedge funds, brokers, and retail traders were all wiped out during that event. Also, don’t leverage by accident e.g. trade EUR/AUD short and AUD/CAD long. In this example you would be doubled up on Aussie dollar long. if an event occurs that affects the AUSSIE Dollar you will be leveraged on Aussie dollar. Now, a professional will use leverage, but only when they have the highest conviction in a trade. For example, when a central bank surprises the market and hikes interest rates. That would exactly be the time that leverage would be used. However, they will have a very definite plan of where to exit should the trade not play out as they expected. An example can be seen in the chart below when the Bank of Canada surprised markets on the 12th of July in 2017 by raising interest rates (CAD positive). The pair below is USD/CAD and it fell heavily (CAD being bought) with the surprise hike. Over the next 10 or so trading days price moved over 300 points with very little retracement. This would be an excellent scenario to use leverage to maximize your gains as traders would have the highest conviction that the trade will move in their direction. So, let’s apply these lessons to your trading. Firstly, make it your practice to trade without using leverage. This means that if you have 10000USD in your account you should only trade 1 mini lot or 0.10 of a standard lot. If you have 100000USD in your account then you should only trade 1 standard lot. Secondly, you should use leverage rarely, if ever, and only when you have the highest conviction level. Knowing that if a black swan event does occur, and you are leveraged, you may be wiped out, and you may never recover from a total loss. Keep leverage to the rare exceptions when you can use it for your advantage to maximize gains. So, take these two lessons away and bring them into your trading. It will give you a clearer mind, a better outlook for trading profitably and give you a much better chance of Forex trading for the long term. Finally, you will find attracting high network individuals much easier as they have confidence in your risk management and capital protection. Trade Forex successfully, trade Forex professionally.